Dinner tonight was back on track! John sous vide a boneless skinless chicken breast using his new container and vacuum sealer. I made broccoli (again!) and rutabagas using my new ceramic knives. I cooked the rutabagas in the microwave which made for a much easier clean up. The pressure cooker may be a little faster but it is kind of a production. John also made up a packet of chicken gravy (25 calories for a quarter of a cup) so the dinner seemed less diet-y. We didn’t eat up all the chicken so tomorrow night’s dinner will be chicken pasta with, you guessed it, broccoli! 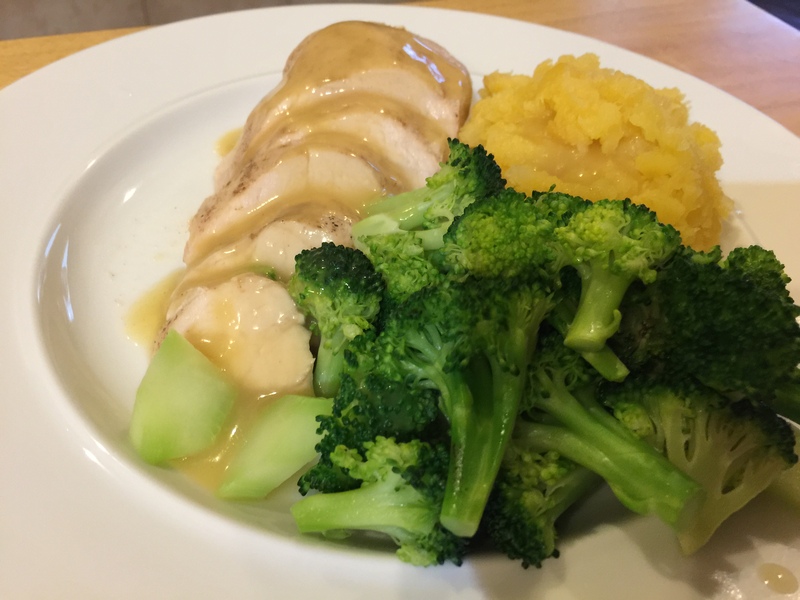 This entry was posted in Poultry, Vegetables and tagged broccoli, chicken breast, chicken gravy, rutabagas, sous vide. Bookmark the permalink.